Allows Selective Conversion of Windows Mail Mailboxes. Instant Preview of Mail, Attachments, Notes, Inbox, RSS feeds etc. Automatically Detect EML files from Local Storage. Quickly Export Windows Mail EML file to MSG / EML format. MS Outlook Installation is not required for the conversion. 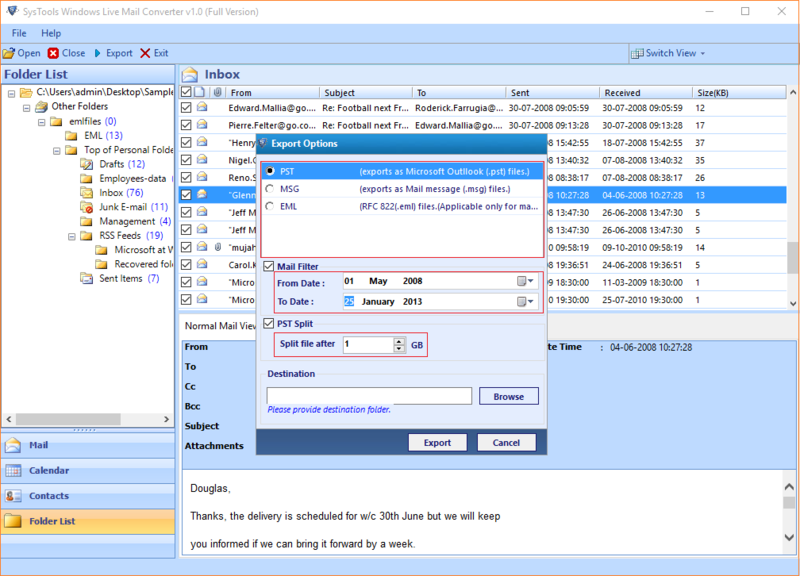 With the help of Windows Mail to Outlook Software, you can easily export live mail to outlook pst with attachments. It preserves the internal metadata of eml file while conversion. It allows safe and secure migration of Windows Mail to Outlook with all the key elements such as Mails, Contacts, Address books etc. 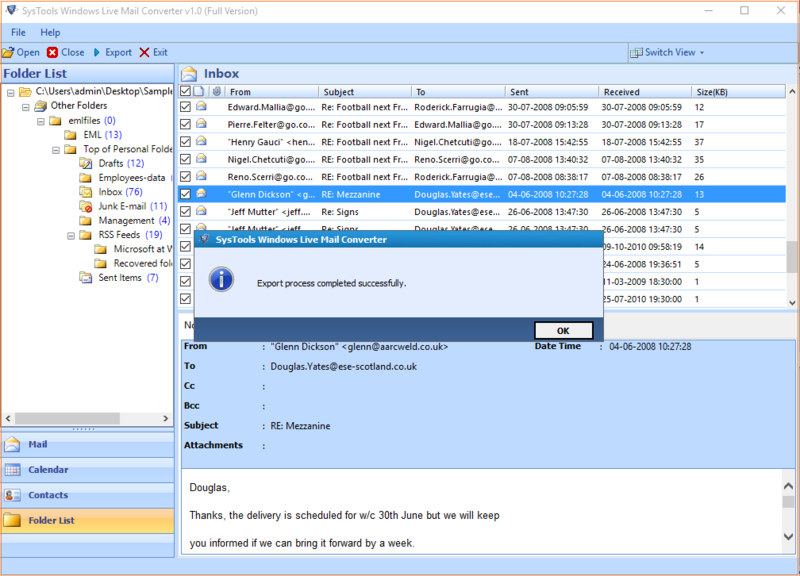 Windows Mail to Outlook Software software allows you to easily preview the content of all the mailbox items such as Mail, Calendars, Notes, Attachment etc. It does not let you save the attachments separately but provides the option to save the attachments embed in the same email during the conversion. Windows Mail to Outlook Software Enables you to perform the batch conversion of Live Mail files to Outlook PST /EML and MSG file format. Using the batch conversion option you can export entire WLM mailbox data to PST /MSG/ EML file format. It maintains the same folder hierarchy before and after the conversion. EML to PST Converter automatically detects and scan the files from the local storage path of live Mail. The autodetect option work only when Windows Mail Configured on System. In the case of Orphan EML files, you have to manually browse the it from the local storage using the browse option from local Storage. WLM Converter facilitates you to divide resultant large PST file into small chunks. The Small PST file is easy to manage and import into Outlook application. For this, you have to choose the size of PST file ranges from 2GB and Above or you can set the automatic split pst after certain size using the tool. 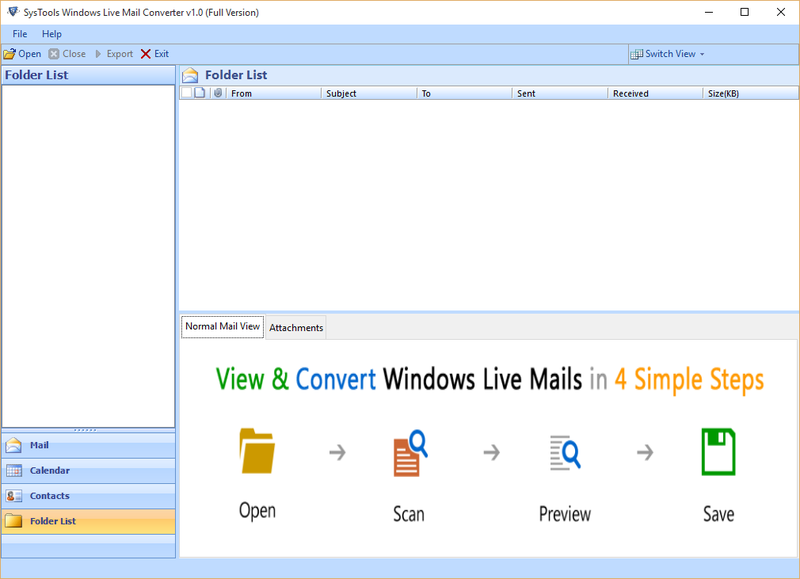 Convert Windows Live Mail to MSG /EML File format. With the help of WLM Converter tool, you can easily convert Windows Mail to MSG /EML format with complete metadata information. The tool also provides the facility to mail filter and multiple naming conventions in the case of EML and MSG. The tool export WLM EML file to PST, MSG, EML without loss of any information. Demo version of Windows Mail Converter tool allows Converting and saving first 25 Items from each folder. 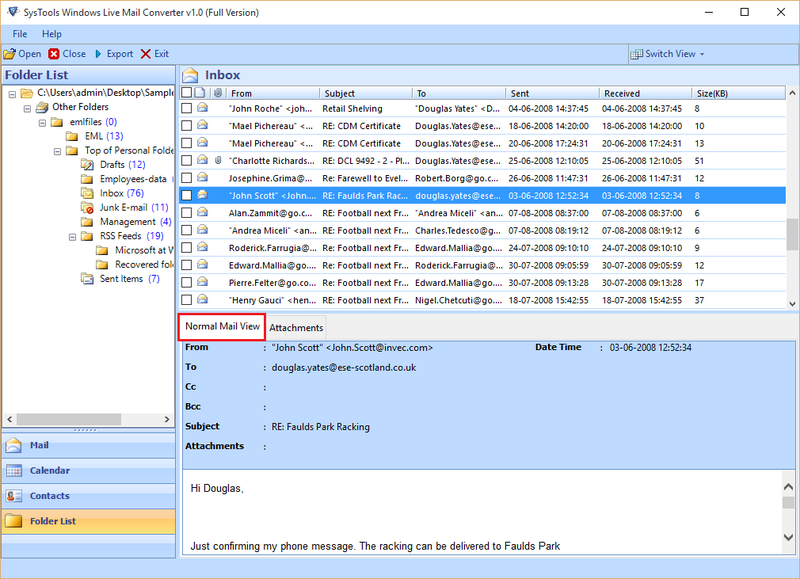 Can I perform the selective conversion of WLM files to Outlook? YesYes, You can definitely perform the selective conversion of WLM files to Outlook. For this, you have to select the desired emails and right click on it to export into pst file format. What will be the location of the resultant file after the conversion process? The resultant file will be saved on Desktop by default but you can change the location of the file according to your ease and convenience. Is there any restriction on Exporting Large Live Mail file? No, There is no restriction imposed by the Pro version of software on the file size but there is certain restriction exist when using the demo version of the software. Can I convert Contacts also using the WLM Converter? Yes, You can easily convert contacts also to PST, EML, MSG file format using the software. With WLM converter, Can I convert multiple identities folders at the same time? No, Software does not provide any facility to convert multiple identities folder at the same time. I have been using the Windows Mail for email communication but now I want to switch it from to MS Outlook. For this, I was looking up for the solution that can conveniently migrate Windows Live Mail to Outlook with complete metadata information. Luckily, I got the WLM Converter. I have used this software and migrate successfully with 100% success rate. Therefore I would like to recommend it for complete migration of WLM live Mail to MS Outlook PST Format. Thanks for such Smart and Technically simple software. Exclusive Software for the conversion of WLM Mailboxes to Outlook PST file format with attachments. It performs the task very efficiently with its vital features such as Multiple Naming Conventions, Auto detect the Mailboxes file location, Date filter etc. I am unable to mention the complete features here. To Know more Download Now it for free to experience the change and innovation from other software in same price range. 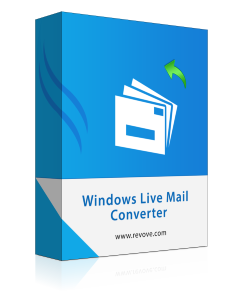 The WLM Converter Software is the technically sound tool to Export Live Mail to MS Outlook. The best part of this software is its graphical user interface which is similar like the Outlook Interface.